Maluku offer to the divers a range of options, one of the alternative is muck diving in Ambon Bay. 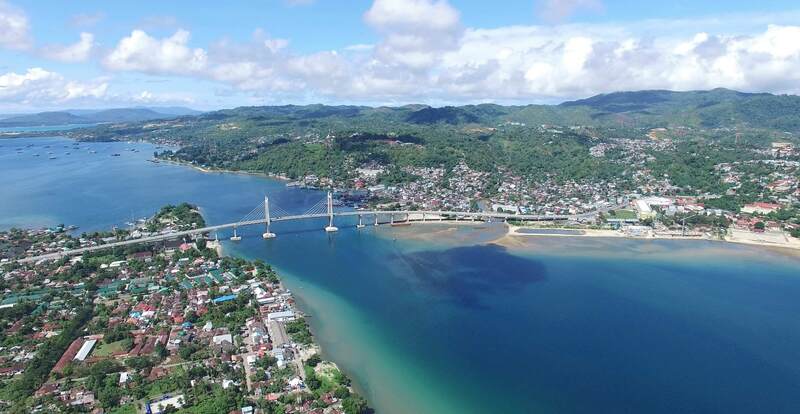 Ambon is the capital of Indonesian province of Maluku, Ambon is a centre of tourism, and education for the Maluku destinations region. Diving in Ambon Bay is one of the activities which can be loved, it’s like a heaven to the divers who would like to see an extraordinary sightseeing. The marine life in Ambon Bay doesn’t disappoint and some of Indoensia’s most unusual creatures can be found here. To get to Ambon is not hard to access, with direct plane from Jakarta, there many liveaboard will pick-up and drop off guests in Ambon who are merging a resort stay with a liveaboard diving trip. Ambon Bay has collect a fame because of the incredible dive sites that are full of dirt that ranges from really sloping sandy slopes to the reef filled with coral reefs and a number of jetty. It gained fame as a destination for Indonesian dirt diving and a macro photographer’s paradise with species of mandarinfish, mimic and blue ring octopus, wunderpus, various species of frogfish, flamboyant squid. Suitable for beginners and up, with the least marine life currently found in the range of 15 meters. It is also a dirt dive site characterized by rich, smooth, dark sandy bottoms, these sites are very easy with entries close to the beach, and living things tend to be up to 20 meters high. Visibility is very clear when sunny days come. Below the pier at Air Manis, batfish concealing in the shade and school bannerfish is seen at the drop-off, here is a sites an great quantity of creatures that stay in shallow places, such as scorpionfish and flounders, and various types of uncommon frogfish along with hermit crabs, shrimp mantis, moray eel. This great site is quite deep, with the top of the deck starting 15 meters under the mooring chain and tilting down to thirty five meters on top of ribbon. There is a good technical dive site here, the wreckage collapses to the beach with an arc facing the middle section of the canal. Just like many shipwrecks, fish life is generally more considerable here, especially compared to some sandy sites, large batfish and trumpets hiding in the shadows, fusilier, snappers, damselfish, and surgeonfish. The Duke of Sparta site is a clear choice for shipwreck enthusiasts, but for folks who love interesting creatures, the Ambon site also offer a great deal to offers. This site is situated in a small harbor with accompanying jetty on the east bank of the Ambon Bay almost directly across the water from the Maluku Divers Resort. There is good coral density sloping steeply down to sand at 20 meters. Fish life is much more abundant here and schooling fish are not uncommon. The coral section is a good place for range of shrimps. Always be careful under the jetty, stopping under the jetty can be done, but a little worrying because on top there are boats that are stopping at the harbor. Diving in the Bay of Ambon is one of the lists to do when you are in Maluku, when the best season of visibility is in the Bay of Ambon, around 5 to 20 meters depending on the weather. Diving is not recommended from July til September due to the rainy season, but March until June is the best season for clear visibility. Marine life will not disappoint, surprising creatures will be found here like many species of frogfish, squid, octopus, shrimp, and flamboyant cuttlefish.